UK-based Cepac has introduced new curved corrugated product, dubbed Arcwise. Claimed to be the country’s first curved corrugated product, Arcwise incorporates quality printing with corrugated cardboard to bend in smooth and continuous curves to fit easily around goods. 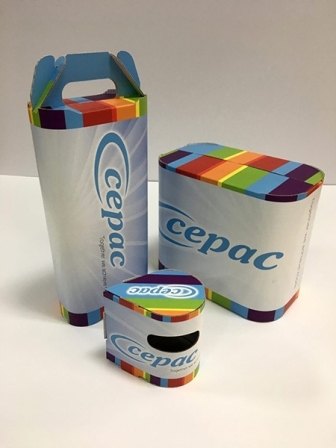 Licensed from SCA Forest Products by Cepac, the new curved corrugated product can be used in applications, including retail-ready, consumer and transit packaging, in-store displays and gifting. Arcwise can be used to produce wrap around, round-front, tray and bag-in-box packaging solutions. The curved corrugated product features patented technology, which enables corrugated board to be bent in a smaller radius, helping to create new shapes for extending the graphical layout on multiple panels. Arcwise has been developed by using latest advances in printing and shaping technology, enabling to enhance the presentation and supply chain for packaging. Through using advanced digital technology, the shorter runs of the product can be delivered, helping customers to try new designs and displays with short lead times. The profile edges of Arcwise are said to have better resistance to compression compared against square-edged packaging. Curved panels enable to provide higher strength than structures consisting of flat panels. It will also help to distribute forces over a wider area. Image: Arcwise can be used in retail-ready, consumer and transit packaging applications. Photo: courtesy of Cepac Limited.